Indian fashion chains are betting big on the consumption story here as American chains shut stores, amid competition from online retailers. Macy’s, the largest department store chain in the US, said it was closing 68 stores. Sears will also close 42 stores. Kmart is closing 108 stores and and discount chain Kohl’s has closed 18 stores, according to reports. Indian chains are scripting a different story, despite a strong online retail presence. Future Group-owned Central plans to add 15 new Central HD stores. Central HD has upgraded their décor and has minimalistic fixtures with an aspirational fashion boutique feel. 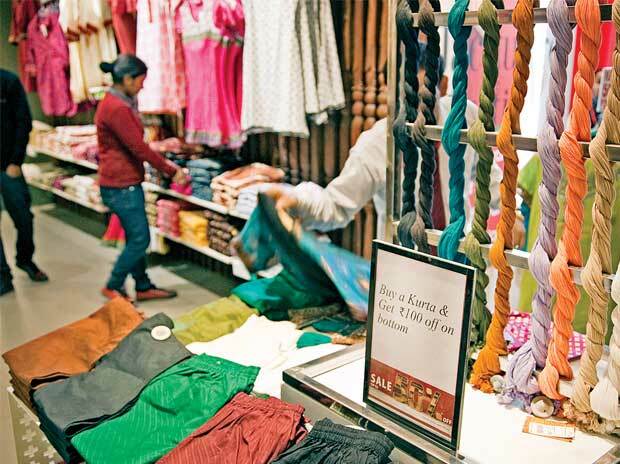 Max, Landmark Group’s value fashion chain plans to open 40-45 stores at an investment of Rs 5 crore each. These stores have the latest retail identity as in their home market of Dubai with omnichannel capabilities in terms of digital displays and a WiFi environment. Vasanth Kumar, executive director of Max, said, “Unlike the US, India’s per capita retail space creation is very low and so is the share of organised retail. Also, 60 per cent of our population is below 30 years,”. “As a country, we have a long way to go before being saturated,” Kumar pointed out. Rajat Wahi, partner and head (consumer markets) at KPMG, said with rents declining and e-commerce facing a slowdown, modern trade would resume expanding its footprint, especially in large formats (over 50,000 sq ft) and medium formats (10,000-30,000 sq ft). “While e-commerce will continue to grow and some categories will be bought predominantly online, most Indian consumers will continue to shop for high-value products in brick and mortar stores,” Wahi said.